In 1914, one Socrates Scholfield of Providence, Rhode Island was granted U.S. patent 1,087,186 for an "Illustrative Educational Device" which he claimed demonstrated the relationship between the Supreme Being and His Creation. 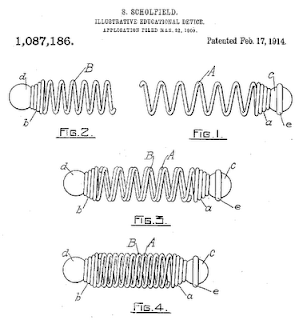 The device consisted of two interlocking springs (see diagram at left, taken from the patent application). The larger, outer spring represents God, while the smaller, inner spring represents the Universe. The basic idea is that the outer spring dictates exactly what the inner spring does, while remaining outside it. The full patent can be downloaded from freepatentsonline.com. 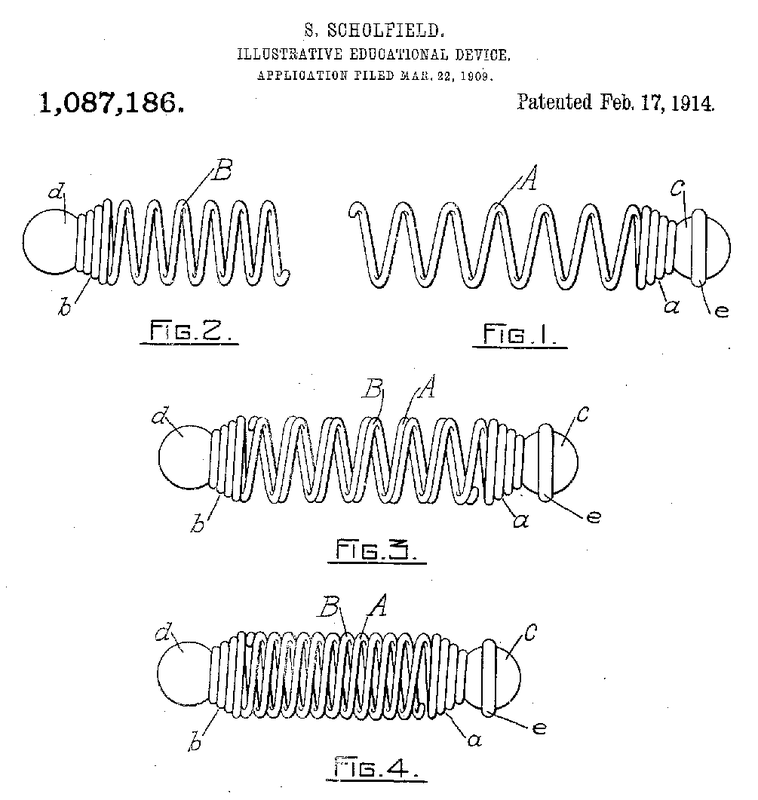 The springs in question are helix-shaped, so the two of them together make a Double Helix. The double helix structure of the DNA molecule was discovered by James Watson and Francis Crick in 1953, and no less an authority than Salvador Dali was quoted as saying "And now the announcement of Watson and Crick about DNA. This is for me the real proof of the existence of God". This just goes to show what Socrates Scholfield always said (or I imagine he always said) -- that he was decades ahead of his time.